2 OWNERS, S/HISTORY, 18 INCH ALLOYS, STYLE PACK, LOVELY. 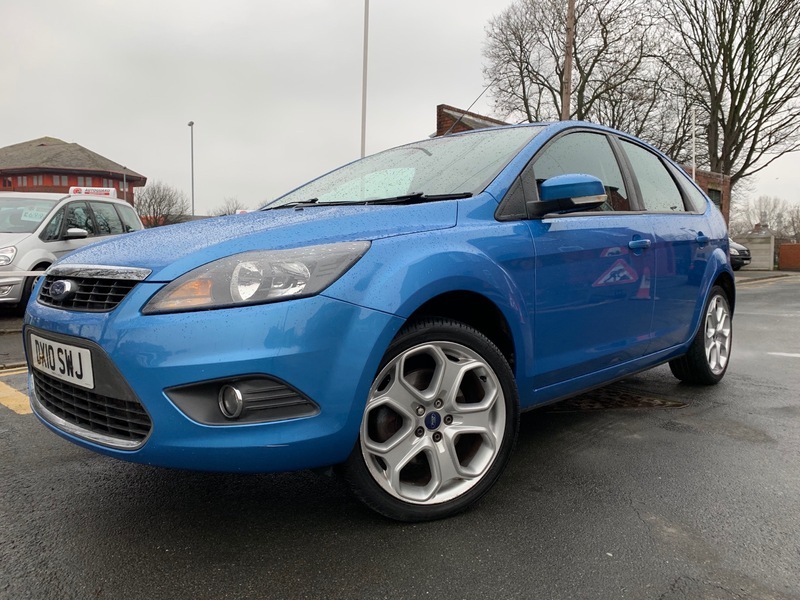 HERES A LOVELY FORD FOCUS WE HAVE FOUND, ITS A TITANIUM TDCi WITH STYLE PACK, 2 OWNERS WITH SERVICE HISTORY, FINISHED IN METALLIC BRIGHT BLUE WITH BLACK VELOUR UPHOLSTERY, REMOTE KEYLESS CENTRAL LOCKING WITH KEYLESS START POWER BUTTON, ELECTRIC WINDOWS ALL ROUND, ELECTRIC MIRRORS, AIR CON, HEATED FRONT AND REAR SCREENS, HEATED FRONT SEATS, AUTO LIGHTS AND WIPERS, 18 INCH SNOWFLAKE ALLOY WHEELS, REAR PARKING SENSORS, CARBON FIBRE EFFECT DASH TRIM. LOVELY COLOUR, LOVELY SPEC, LOVELY CAR NOT TO BE MISSED. WE OFFER FINANCE OPTIONS AND EXTENDED WARRANTIES, PLEASE CALL ANDREW ON 07947 884458 TO ARRANGE A VIEWING OR TEST DRIVE WE LOOK FORWARD TO SEEING YOU AT FOURWAYS GARAGE.